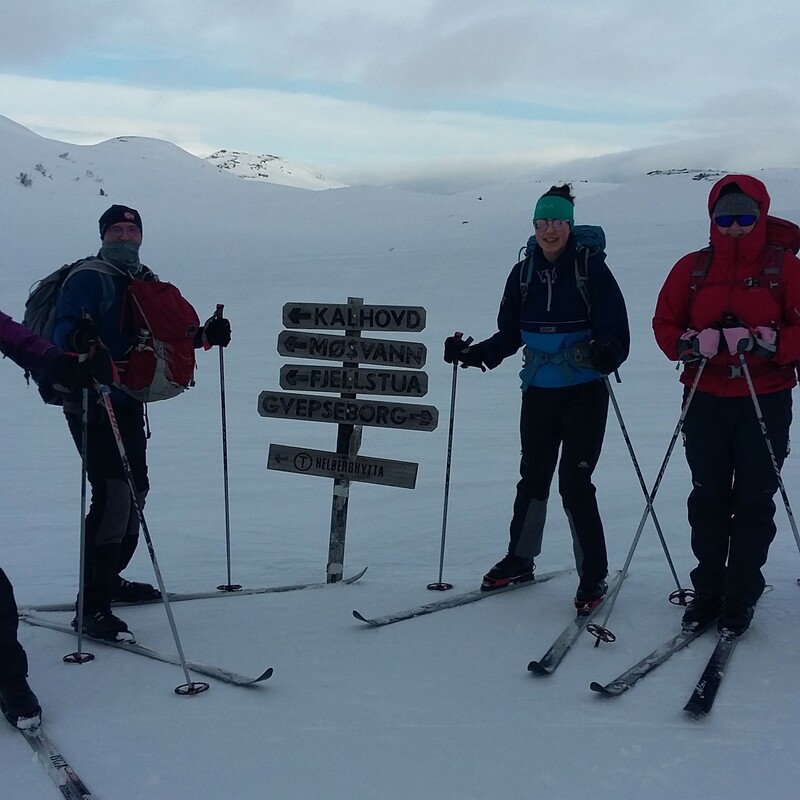 A 6-day journey of challenge and adventure by a mixed team of four Senior Cadets and four Cadet Adult instructors. 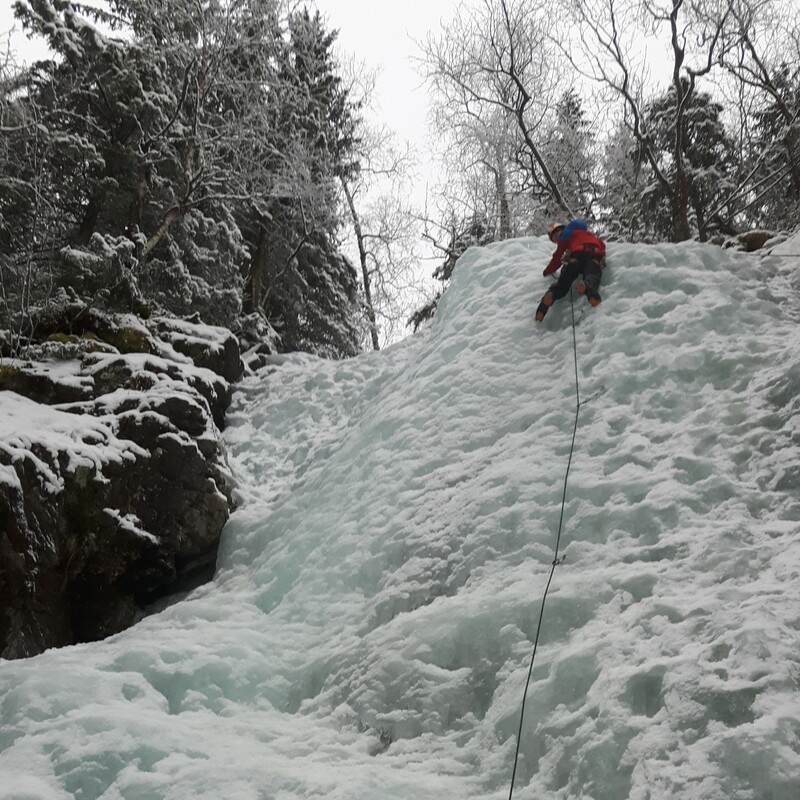 Arrived safe and well in Rjukan after a very long day travelling. The emotional journey first starts when the application form has been submitted by the Cadet Unit which then ramps up on gaining a place on the course! Reading the comprehensive Joining Instructions leads to significant planning and preparation to ensure you arrive at Heathrow T2 in good order. Now, who are we going to be spending the week with! Day One (Krokan) – with the team already melding together the morning briefing on history, culture, environment and risk assessment further framed our focus on the challenges ahead. 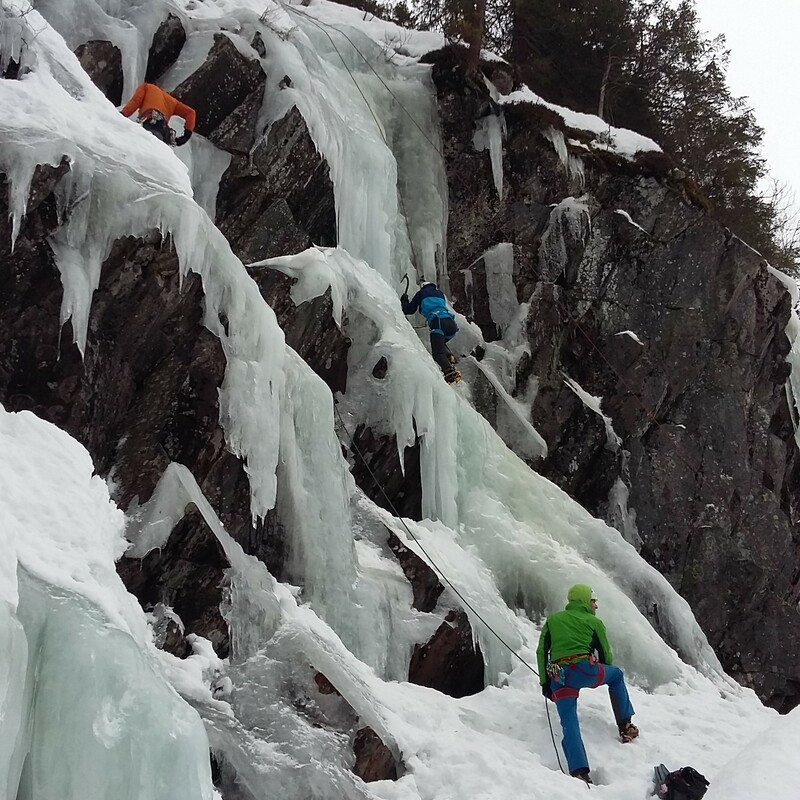 A scenic short walk led to a fast learning environment which was as steep as the ice was vertical. 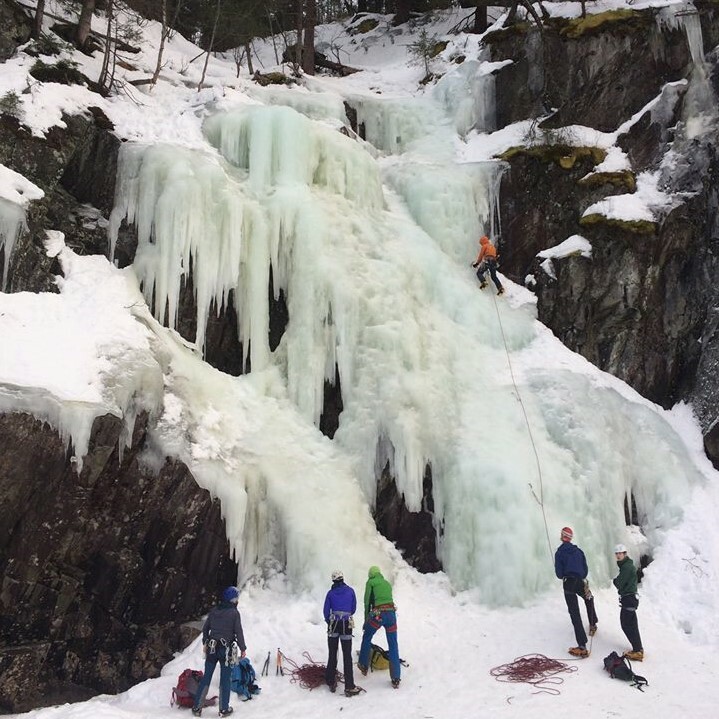 The abundance of frozen waterfalls provided the backdrop we needed as our initial learning experience. 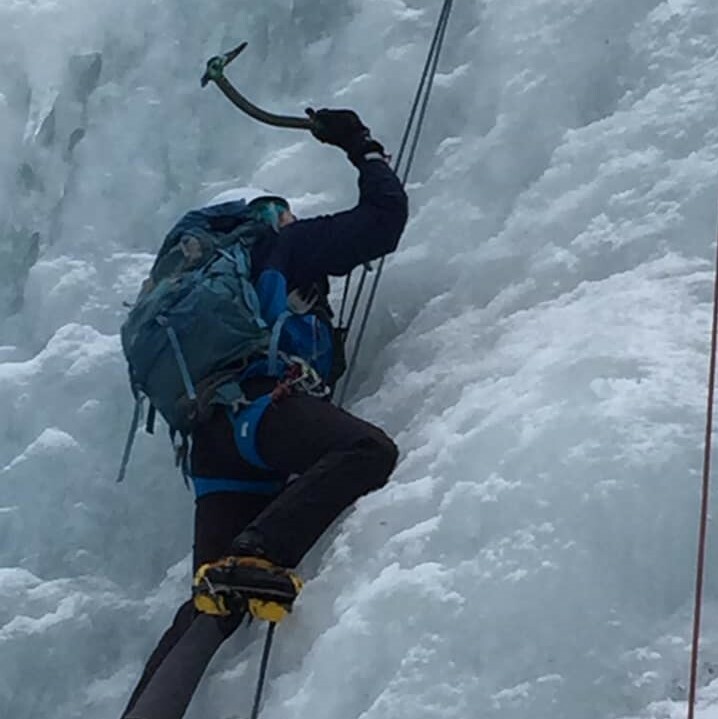 Thumping ice with a set of technical ice tools for the first time was most satisfying followed by the more dubious belief in trusting just the end few millimetres of the crampons. 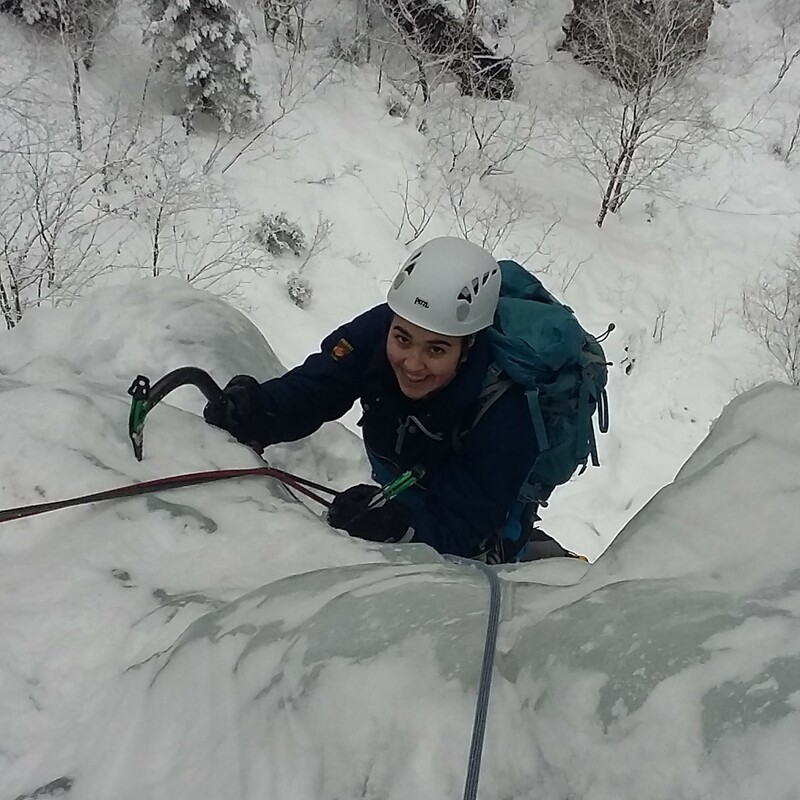 Kate found walking around in crampons most fun and then she stepped out of her comfort zone to go up! 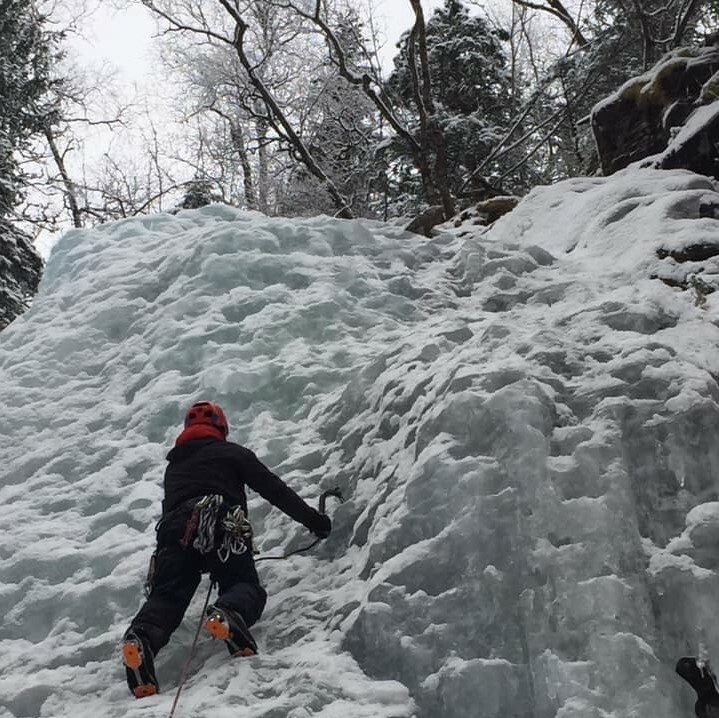 With a steely determination she soon found herself at the top of her first ice climb ready to be lowered down. 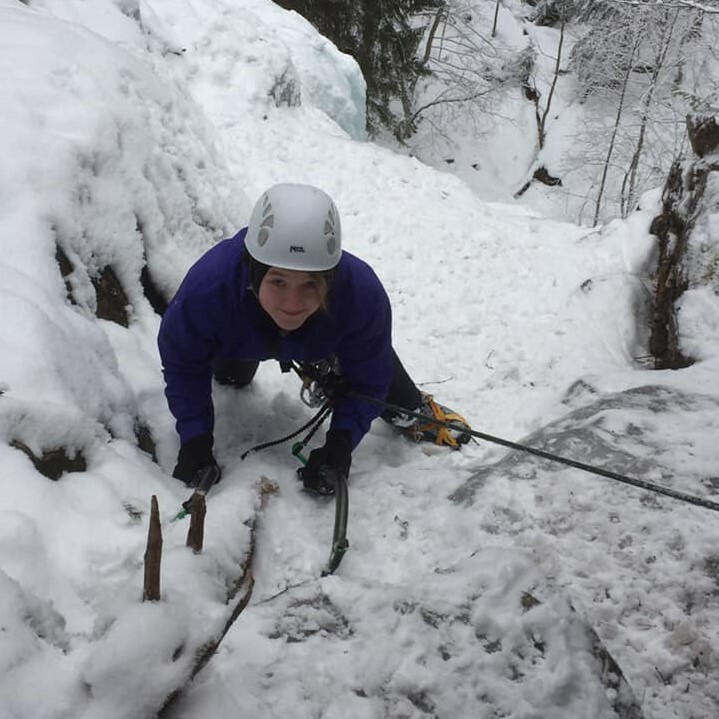 Racheal on the other hand was surprised by the fact that she felt comfortable ice climbing, far more than she was expecting. Emma found herself climbing something that she never thought she could have done and felt a great sense of pride. Already an accomplished rock climber Alex took delight from climbing in a new type of environment. He really enjoyed the team spirit and working with others. George had a sense of satisfaction from doing something that he didn’t believe he would ever do in life. Paula had built up her confidence from the first day and felt a sense of achievement. Winter hazards presentation. Day Two (Krokan & Bolgen) – building on the development of the previous day the group worked at two venues in order to facilitate maximum progress. Kate’s trust in the equipment, with the support from the team backing her up, prompted her to believe in her ability leading to a huge sense of elation at achieving three climbs. Her partner Paula got a great buzz in seeing Kate overcoming her challenges whilst also being pleased with herself for getting up some steep routes. Paul had a great day consolidating his skills. Racheal, Andrew, George and Alex had a novel walk in with parking on the road followed by walking down hill around the hairpin bend before then starting the three pitch route of WI 2/3 that took us back up to the car. This was an opportunity to refresh multi-pitch climbing skills. For George this was his first time in a multi-pitch environment which pushed his mind set even further for what was possible. 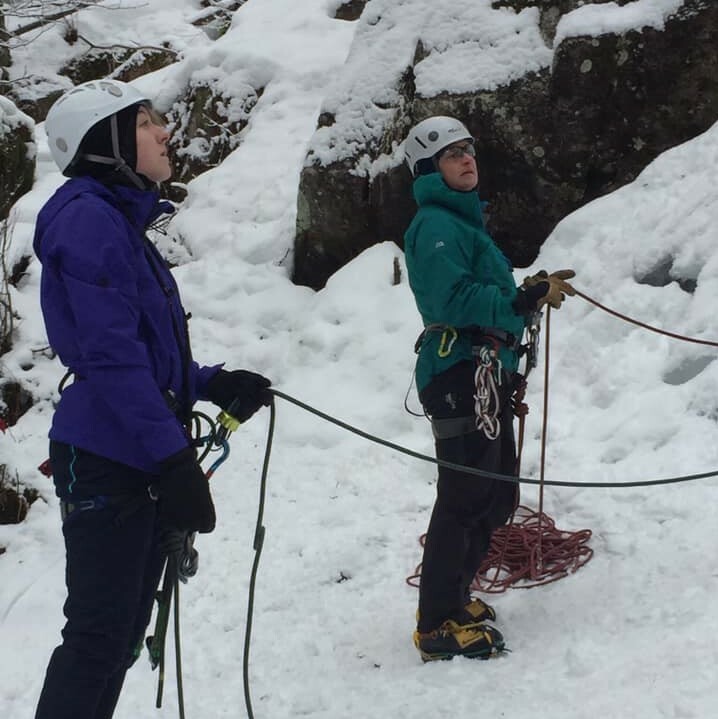 Rachel enjoyed the longer climbing and time to hone her technical rope skills in preparation for steeper and more sustained ice climbing to come later on in the week. 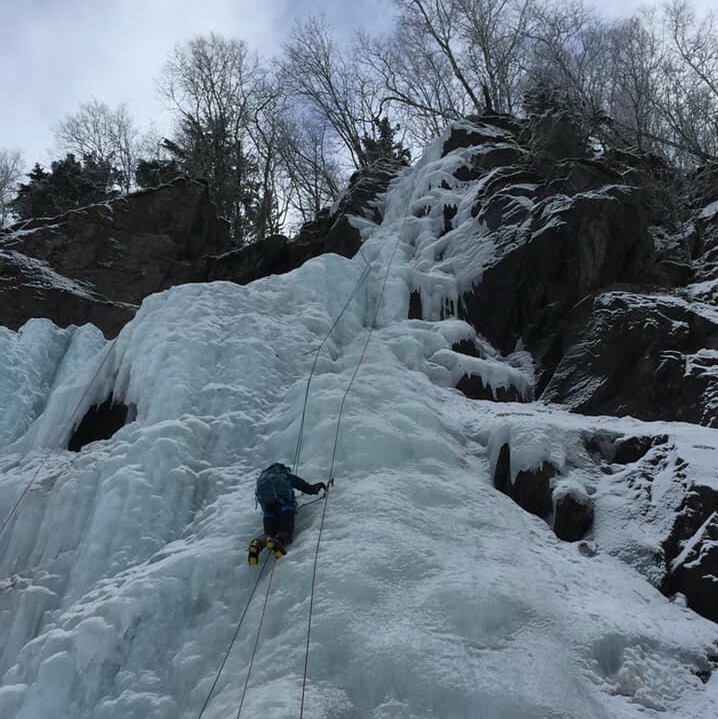 After a bite to eat it was onto another single pitch climb, Armeringsjernfossen, for more vertical ice and the chance to practice abseiling off. All four students found this to be a most exhilarating end to the day. Avalanche hazard presentation. 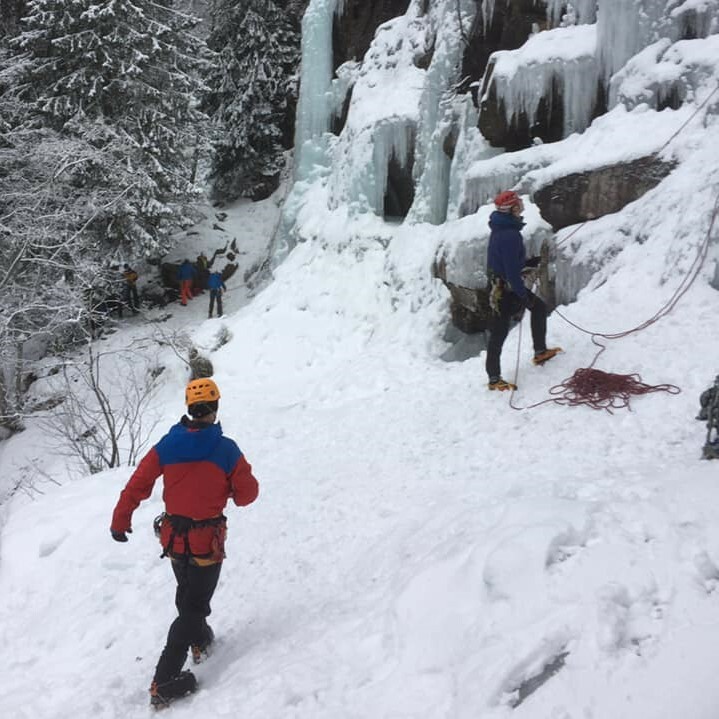 Day Three (Upper Gorge & Rjukan Central) – following the success of day-2 two groups again worked independently to achieve the best outcome for all the students. Kate found the 3 pitch route daunting and a significant mental challenge. 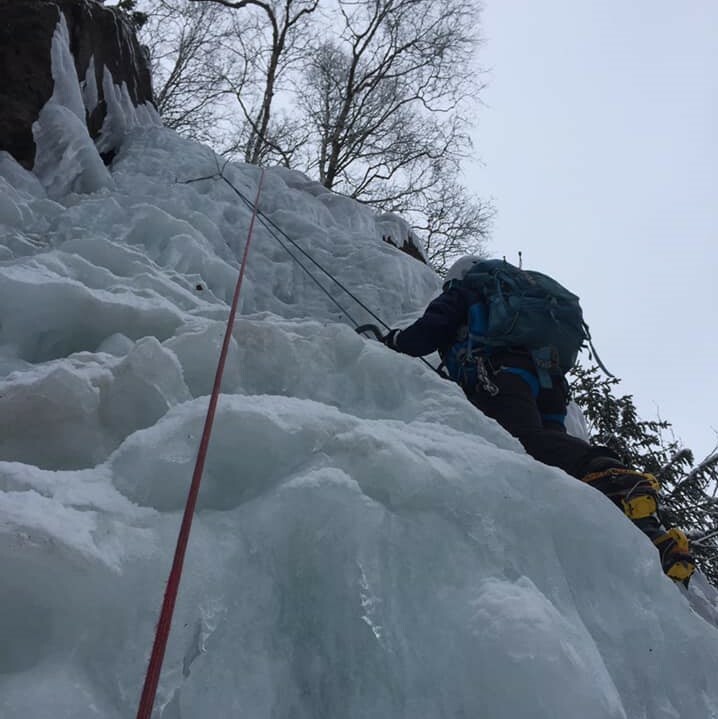 Learning to activate her extra mental and physical reserves to keep pushing through the multi-pitch showed much personal commitment. Emma’s first climb of the day was steeper and harder than she had previously experienced greatly expanding her comfort zone but rising to the challenge. 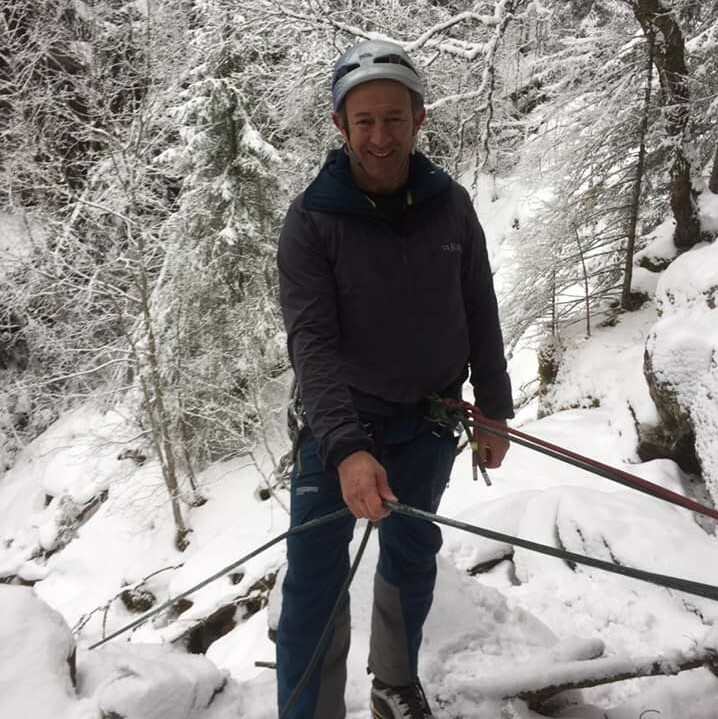 Paul learnt from seeing the instructors working on very small belay ledges requiring a high level of organisation. Emma and Paul both found the scenery in the gorge fascinating and likened it to something out of Lord of The Rings. They progressed onto a multi pitch route today with three belays changes allowing them to get their belay stances organised for the next stage. 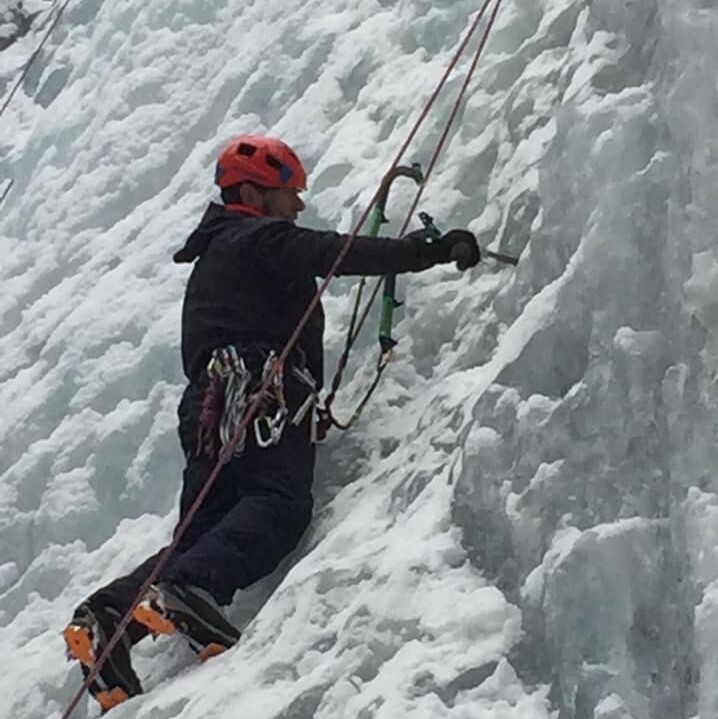 Paula was focused on improving her technique and felt the route for her was ideal to progress. Key learning points from today was problem avoidance by anticipation of issues occurring. They finished off the climb which lead them onto the top road and had a wonderful walk out in the afternoon sun shine. 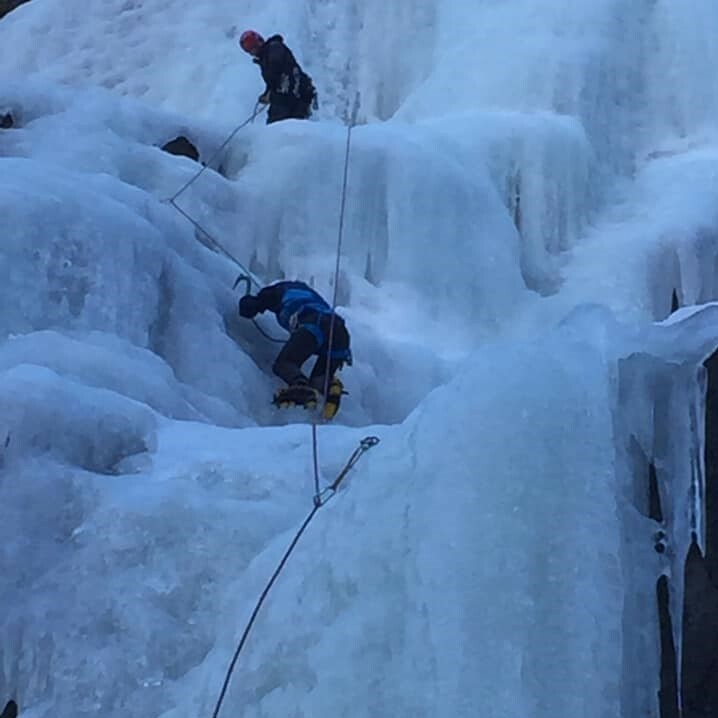 The other group hit the unpronounceable route called Tjonnstadbergfossen WI4 but better known to us as spotlight route due to the town lighting it up at night. Four pitches of climbing offered more multi-pitch experience along with the increased exposure increasing the level of intensity. After four pitches of climbing the group tackled the descent by abseiling. Leapfrogging down, setting up the next abseils to keep the flow going efficiently took significant teamwork, communications and concentration. Remembering which colour rope to pull on was also rather important! 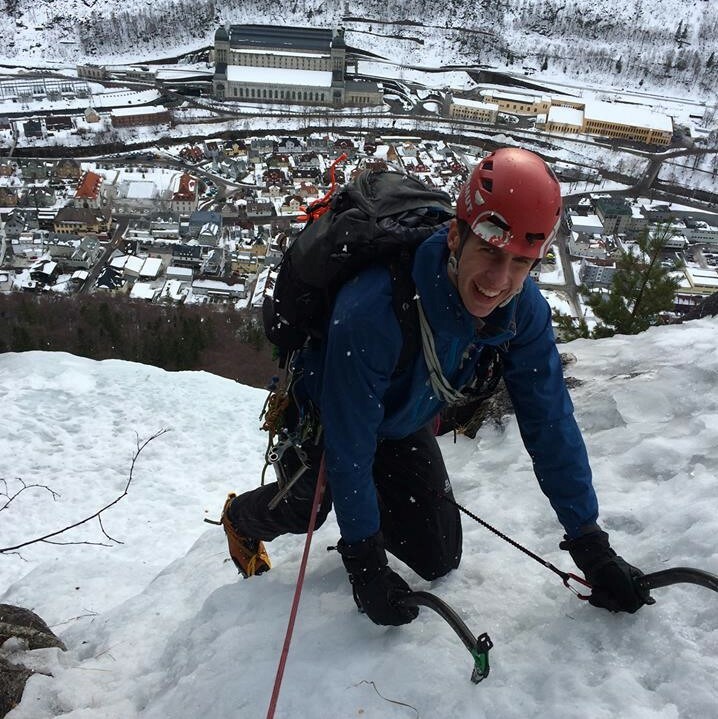 Day Four (Bolgen, Vemork & Rjukan Central) – a sense of routine began creeping into the group despite the unique environment. Today four individual teams set out to maximise training value and were most successful in achieving this. Katy came alive on the novel road to road WI3 three pitch route. She loved the technical focus while her comfort zone was also being expanded to allow her to absorb the nuggets of information being handed out. Once again, Paula fully enjoyed the climb. Entertainment, as ever, was abundant with George. His rope work was getting better and he was making more anticipatory decision making. 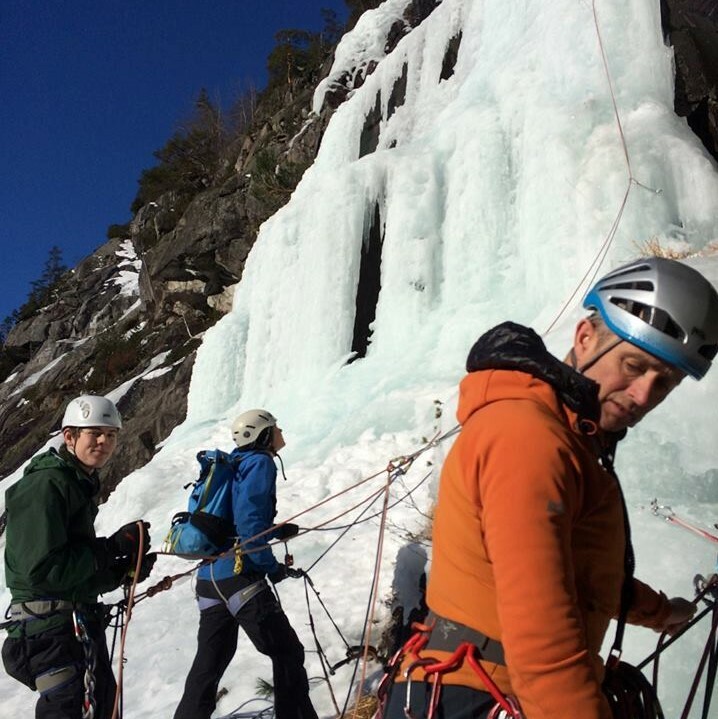 Alex and Andrew were working on improving their lead climbing under the direct supervision of Billy who, while maintaining the safety net, encouraged both of them to make more decisions for themselves. 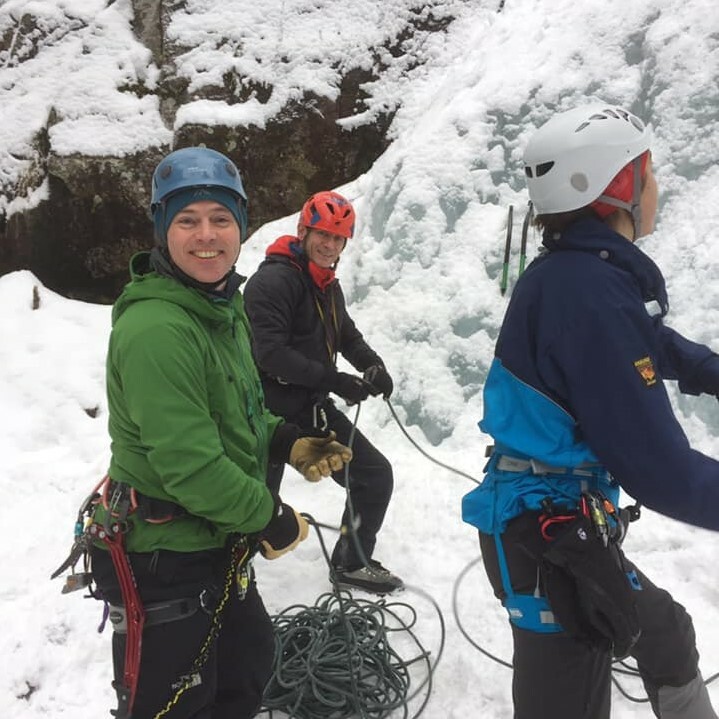 Mental and physical tiredness was now creeping into the group and after a lovely homemade chilli-con-crane students where happy to head to bed dreaming of hero ice while the soft snowflakes came gently drifting down. 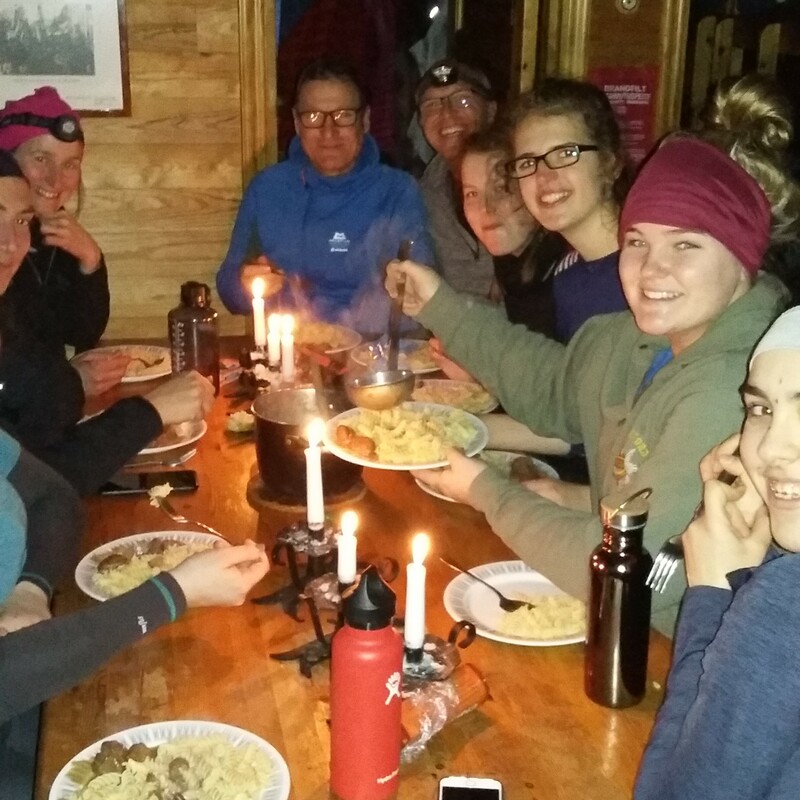 Day Five (Upper Gorge) – with a half day of climbing followed by a cultural visit to the Vemork museum famous for the Hero’s of Telemark commando raid combined with fresh snow the team push out in high spirits. 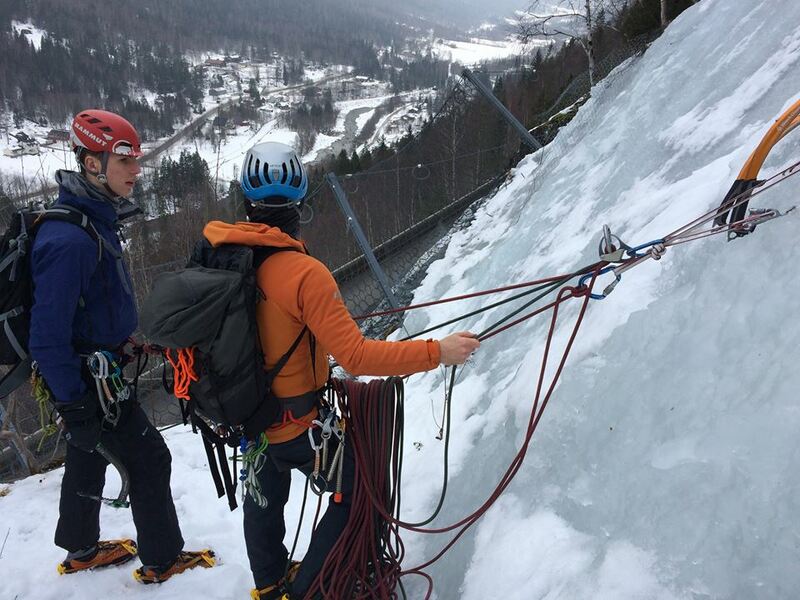 Four students climbed Vemork Brukfoss Vest which was a WI4 route with 3*. For Rachel standing at the bottom for an extended period of time built the anticipation before stepping up to climb. Early on an emotional challenge kicked in causing her to have to dig deep and find the inner determination to overcome the physical and mental challenge. Emma had wanted something that was going to push her and today she got all that and then some! 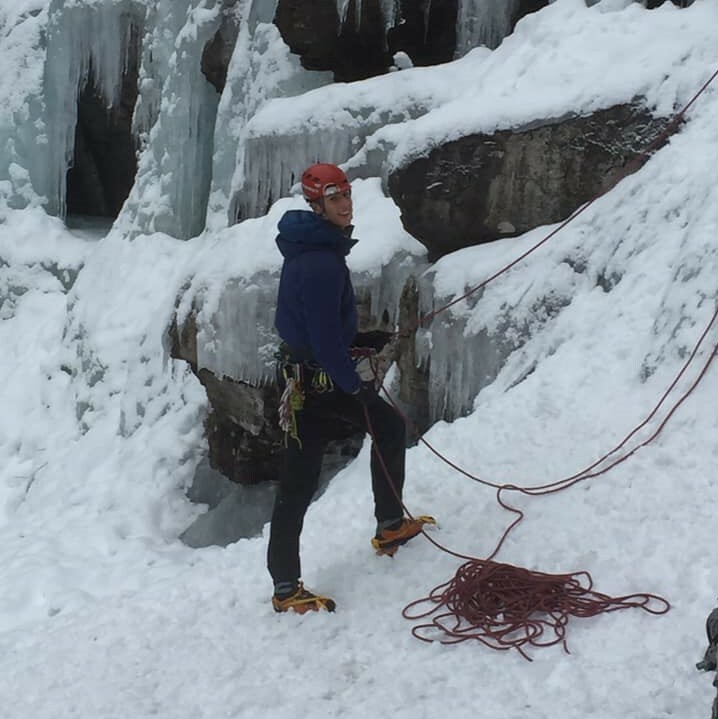 At the bottom she was excited to get started, the challenge kicked in when three ropes, a quick draw, ice screw and axe leashes all got rather tangled up. This led to some emotional moments before Emma overcame the problem created and was delighted to top out. The climb was at the limits of what Paul can currently climb and looking back down from the bridge was very rewarding. George didn’t feel any sense of fear what so ever, just that this was only the hardest and steepest climb of his life! Asking Kevin how much more there was to climb to find he was only half way wasn’t quite the reassuring response he wanted. Katy and Paula spent the day learning lots of new skills which gave both of them greater confidence to do more than just becoming a competent second. 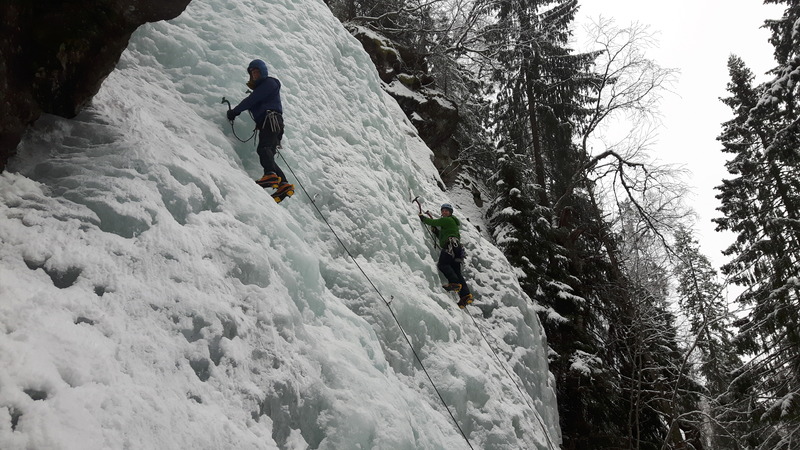 Alex and Andrew set out on their first lead ice climbing today. The venue had been well selected allowing them to focus on apply the skills to safely being on the sharp end. 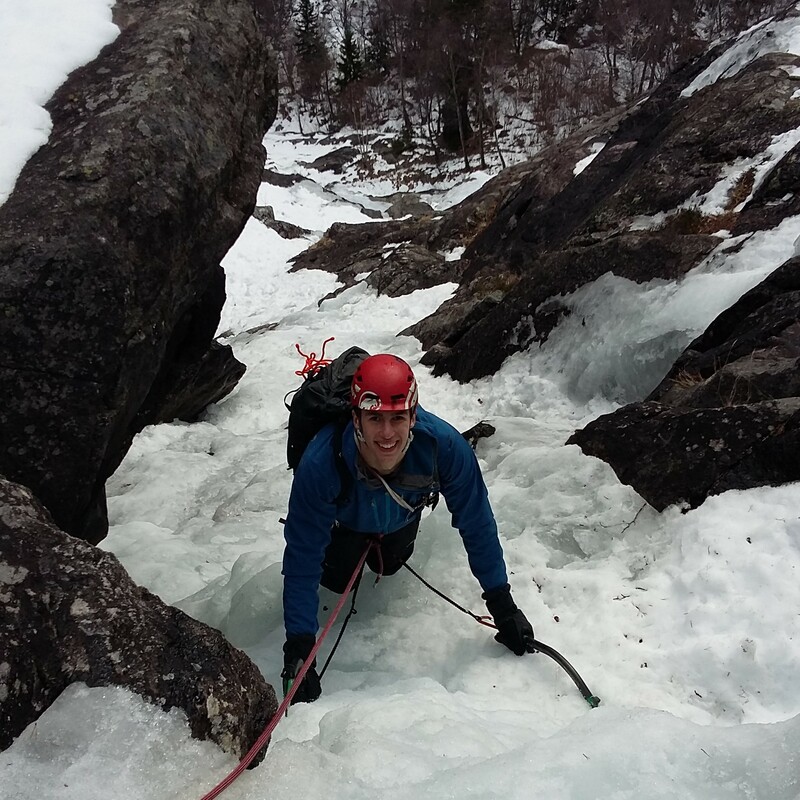 George – from not being able to stand on crampons to multi-pitching and climbing a WI5 ice climb, what a journey. 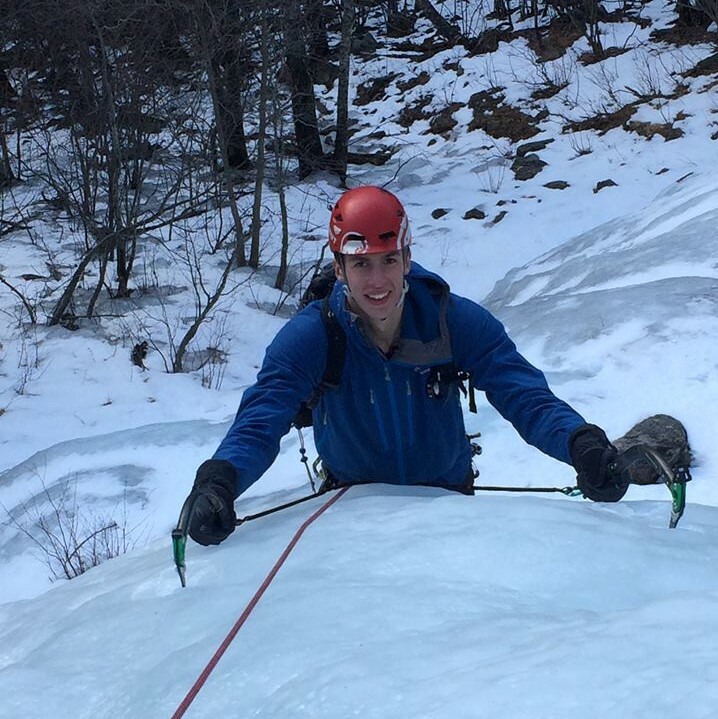 Alex – this is another stage in my journey towards becoming a nationally qualified climber. 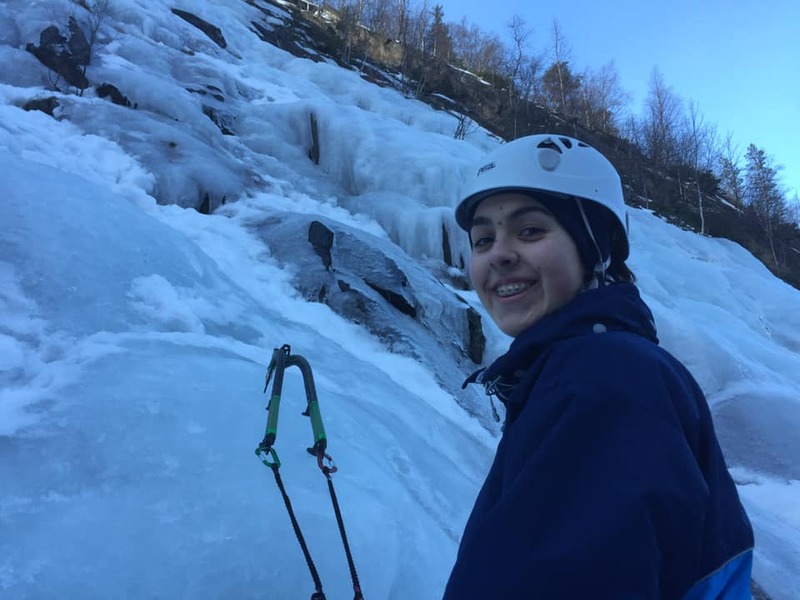 Paula – building on from my previous experience to ice climbing in Norway for the first time has been a great progression towards improving skill and knowledge. Hopefully I can now develop beyond being a second and start to lead. Katy – comes on CCAT course to push herself and feels that she has developed her sense of confidence which can be applied to future courses as well as other life experiences. Everything I start I can finish. Emma – I have been surprised how much I have achieved. It has given me more personal confidence for when I go indoor climbing back home. I thought it was going to be hard, which it was, but it was more fun than I had expected. 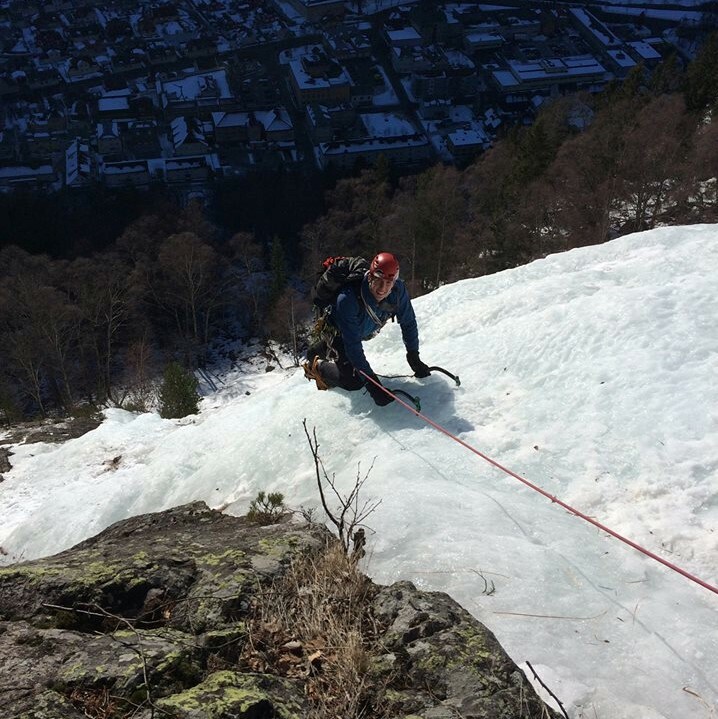 Paul – it was great to get back ice climbing and push my grade. It has also been rewarding for me is to see how the Cadets have developed so much in just five days. This has re-enforced for me to continue working towards gaining my AT qualifications to give other Cadets such development opportunities. Rachel – on day one I didn’t think I could reach the top of the first climb yet on day five I got to the top of my first WI5 route. Tired but elated at my success. 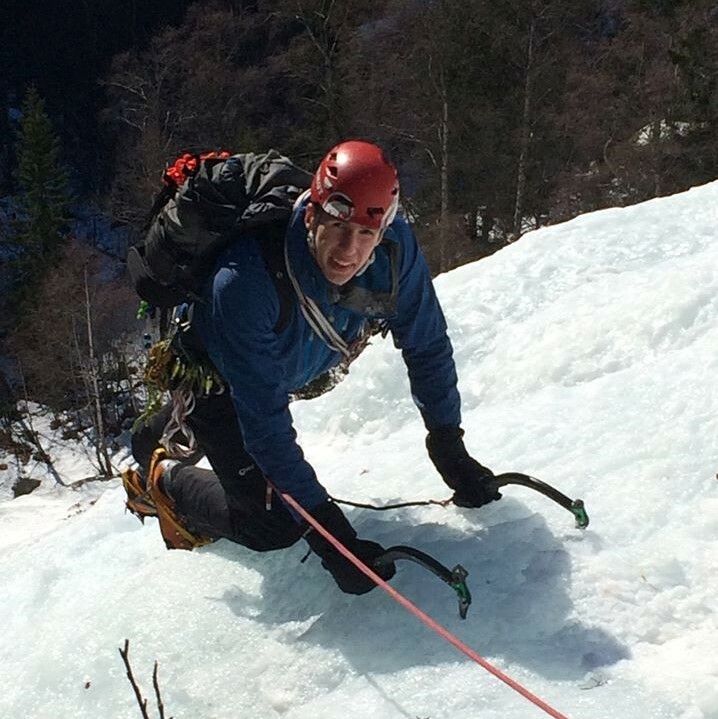 Andrew – totally delighted with the experience from each day. 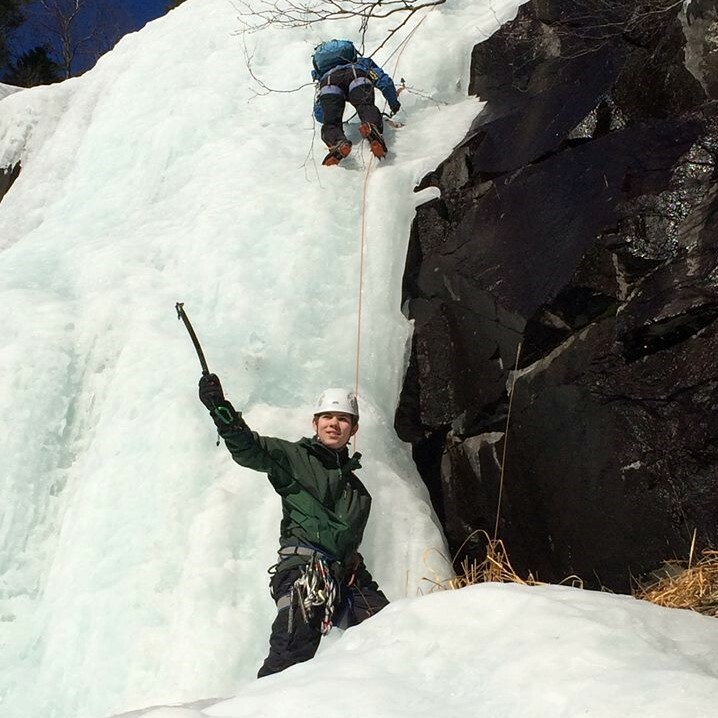 The icing on the cake was learning to lead an ice climb. The real WOW factor in every sense of the word.